Recorded voice: Thank you for calling Southwest Storm Shutters. Please leave your name, number and a brief message and we will return your call as soon as we are able to. TJD: This is Tom Dryden. You guys installed our electric hurricane shutters last year. The one over our bathroom window is broken. I pushed the button to lower it before the hurricane but the motor was dead. I got up on a ladder and took the cover off and was able to lower it manually, an inch at a time, but it took half the day. The room is now pitch black so I want to get this fixed as soon as possible. My number is 555-5555. Thanks. Woman: Southwest Storm Shutters, this is Sara, how can I help you? TJD: This is Tom Dryden. I left a message a couple of months ago but didn’t hear back. The motor on one of the electric storm shutters your company installed last year is broken. Could you send someone out to fix it? Sara: I’ll have someone call you. Just a heads up, it may be tomorrow, we’re a bit backed up. TJD: That’s fine, thanks. I’ll wait for your call. TJD: Tom Dryden here, I’ve called several times. The motor on one of my shutters is broken. Could you please call me back? Sara: Thank you for calling Southwest Storm Shutters. How can I help you? TJD: This is Tom Dryden and this is the third or fourth time I’ve called about this. 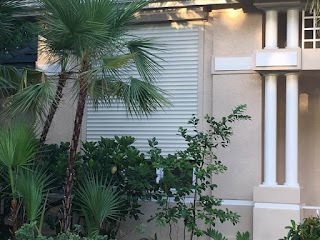 One of my shutters, the engine on it — you installed it two years ago — is broken. Last time we talked you said someone would be calling but I never heard back. I need to have this taken care of. Sara: Nobody got back to you? I gave Don your message, he’s usually so good about returning calls, so I don’t know why he didn’t, but I’m sorry. I have your number. He’s out right now but I’m going to text him and he will get right back to you. Sara: Southwest Storm Shutters, Sara speaking. TJD: This is Tom Dryden. I’ve been trying to get one of my shutters fixed since just after the hurricane. I’ve called and called and you've promised someone will get back to me but nobody ever does. When I stopped by your office last week, you said you’d have Don call me that afternoon. Hurricane season starts in a month. I really, really need that shutter repaired. Sara: Oh my God, I am so embarrassed! This isn’t like him. I tell you what, I’m going to put you on the schedule right now for — let me see — how about Thursday, May 3 between 9 and 3? TJD: I have three appointments that day but I’ll rearrange my schedule. Thank you! Recorded voice: Thank you for calling Southwest Storm Shutters. Our office hours are 8 a.m. to 4:30 p.m. Please leave your name, number and a brief message and we will return your call as soon as we are able to. TJD: This is Tom Dryden. You promised you’d be here today between 9 and 3. It’s 4:40 now and, after sitting around all day waiting for you to show up, I’m learning you’ve gone home for the day. This is unacceptable. I spent (a massive amount) with you last year and these shutters are guaranteed for ten years. If you don’t call me back first thing tomorrow I’m going to call the Better Business Bureau. Sara: This is Sara at Southwest Shutters. Mr. Dryden, I am so, so sorry. 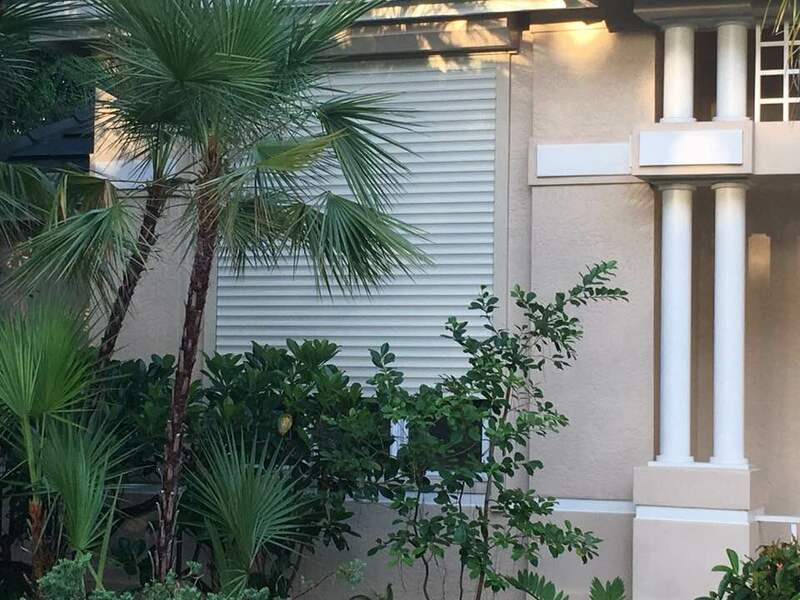 The technician we had scheduled to repair your shutter yesterday up and quit without warning — abandoned his truck and the sheriff finally found it on Marco Island this morning. You have my word Don, the owner, will be there on June 3 at 8:30 a.m. sharp. Sara: On a stack of Bibles. This isn’t the way we do business. There will be no charge. TJD: There shouldn’t be, they’re guaranteed for 10 years, parts and labor. TJD: This is Tom Dryden at 555-5555. Call me! I have had it with you people! You were supposed to be here an hour ago. I ran a service business myself and if I had treated my customers the way you treat yours I'd have been out of business pronto. Woman: Thank you for calling Shutter Pro, my name is Jennifer. TJD: Hi Jennifer, my name is Tom Dryden. A neighbor told me your company repairs storm shutter motors. I have one that is broken. I need to have it fixed ASAP. Jennifer: Mr. Dryden, I am so sorry but we are booked solid until September. Jennifer: Don't worry, I can help. Do you have a pen and paper handy? Jennifer: Call Enrique Menendez at 555-1234. He used to work for us but retired last year. He still takes on some of our overflow work and, don’t tell anyone I told you this, he charges less than we do. TJD: Thank you so much! I will call him now! Recorded voice: You have reached Enrique Menendez. Please leave your name and number and I will call you back. TJD: Hi Enrique, my name is Tom Dryden. Jennifer at Shutter Pro recommended you. I have an electric roll-down shutter with a broken motor and I need to get it fixed. If you could call me back, I’d really appreciate it, I’m desperate here. TJD: This is Tom Dryden. Sara: This is Sara at Southwest Shutters. I know we’ve given you the run-around and I’m so, so sorry. The reason I haven’t called is that the manufacturer hasn’t had any replacement motors in stock, they’re waiting for some to arrive from China, but they have confirmation they are on their way and have promised they will be FedExing us a new motor to to arrive Monday morning, June 18th at 8:30, and we’ll be at your house by 9 a.m that same day to install it. If we are a few minutes late, it’s because we are waiting for FedEx. You have been beyond patient. Thank you. TJD: It’s a good thing you called. I want you to do this work because, after all, you installed the shutters and have guaranteed them but I finally put a call into someone else because I’d given up. Can I call him and tell him to forget it? Same day, 4:46 p.m. (call that went into my voicemail while I was talking to Sara). Enrique: This is Enrique Menendez returning your call. I can fix your shutter motor tomorrow and will be there at 9. Please text me your address. Text message from TJD to Enrique: Hi Enrique. Please disregard my message but I can’t thank you enough for returning my call. Have a great day! Recorded voice: You have reached the voicemail of Southwest Storm Shutters. Our offices are closed for vacation from Monday, June 18th through Friday, June 22nd. If you’ll leave your name and number we will return your call on Monday, June 25th. My father, G.L. (Bud) Dryden, Jr., in 1929. From the Central Wesleyan College yearbook. My father died in 1966. He was 58. I was 14. He didn’t see me graduate from high school or college. He never met my wife or six of his nine grandchildren. Sometimes I go for days without thinking about him. It’s not that I don’t hold him in the highest regard. I do. It’s just that he’s been gone so long, and that I became accustomed at a young age to not having him around. But there’s one place I always miss him so badly it hurts – and that is when I go to a superstore like Target or Costco. My father ran a general store in Auxvasse, Missouri. Dryden’s Store sold everything from milk and meat to canned goods and kerosene, from hosiery and overalls to boots, blankets and toys. It was housed in a redbrick building at the north end of the town’s block-long business district. 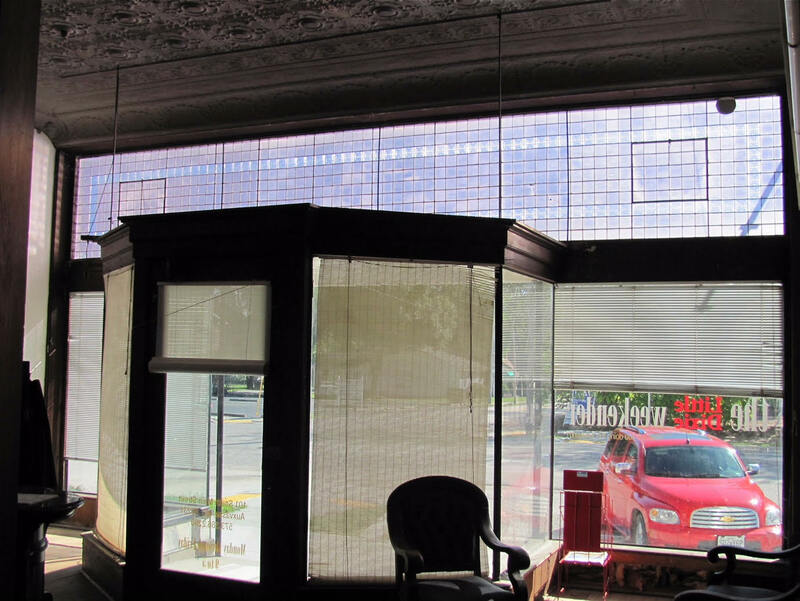 Customers entered through a covered tiled porch sandwiched between two raised display windows. The first floor had two rooms – a large retail space for groceries, dry goods and housewares, and a back room to store wooden cases of soda, barrels of vinegar, blocks of salt, and chicken feed. The back room also contained a kerosene pump for those customers who didn’t have electricity and depended on the fuel to light their homes. The dark, moldy-smelling basement, accessible from the back room, contained a cast iron furnace, along with a giant pile of coal to keep it stoked in winter, and was used to store cases of canned and bottled goods. A staircase on the right side of the first floor led to a mezzanine with two rooms -- one for shoes, boots and ladies’ hats, and a second my father used as his office and to store boxes of cereal and crackers. He arranged his desk overlooking the floor below so that, when he was doing paperwork, he could keep an eye on his store. A small room on the third floor was used for storage. 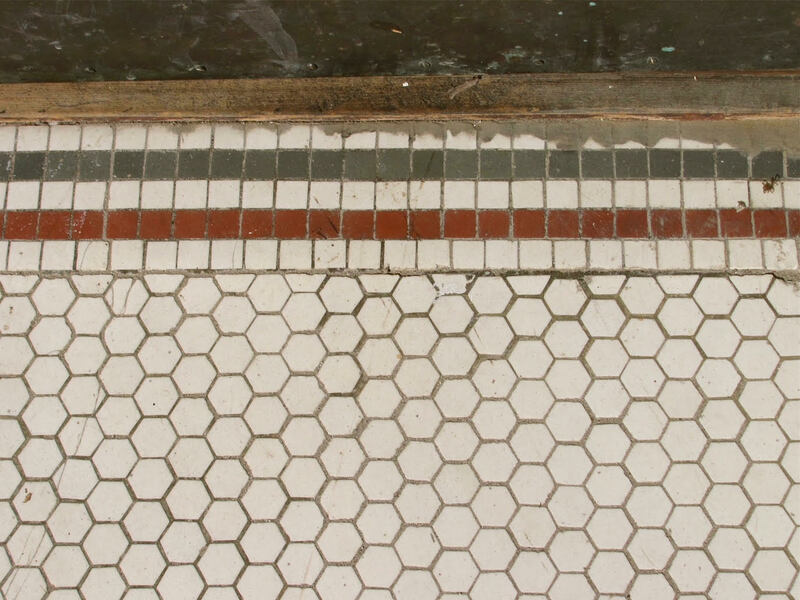 This floor also contained several apartments. One was rented to the local phone company whose operator connected calls using an old-fashioned switchboard. 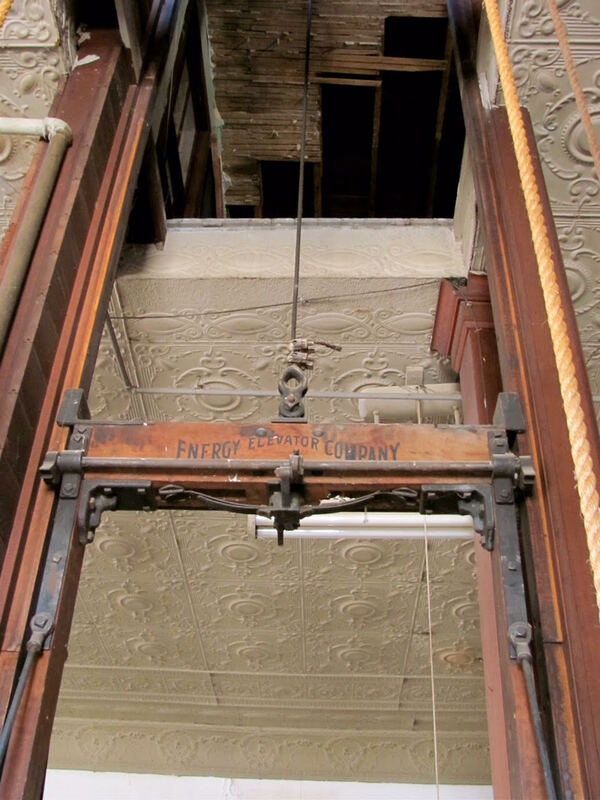 A wooden platform freight elevator ran from the basement to the top floor. Dad never used it – he found it quicker to carry whatever he needed from one floor to the next -- but his children, nieces and nephews played with it on Sundays when the store was closed and he could allow them to yank themselves between floors to their hearts’ content without every other child in town begging for a ride. The ceiling of the first floor was made of stamped tin. The floors were wide pine planks that, every Saturday night after closing, were mopped with kerosene to keep the dust down, giving the store a distinctive but not unpleasant scent of oil. Groceries were displayed on the the left side of the store. Upon entering, customers passed two racks of bread, wooden bins of potatoes and onions, oversized glass jars of cookies, shelves of crackers and boxed foods, and a rack of candy. There was an open coffin-like cold case for produce and dairy products, a meat case, and, behind that, a metal cold box for soda. A butcher block table contained an array of knives, a meat saw, and alongside was a stand with an electric meat slicer. The little finger of my left hand is proof positive children shouldn’t be allowed to operate meat slicers. There were three orange and green-trimmed counters where customers' merchandise was placed as they shopped, and two aisles. One of them, for most of its length, contained shelves displaying cans and jars of vegetables, condiments, jellies and fruits. Cereal boxes were kept on the top shelf. Shoppers didn’t have a choice of brands. If you didn't want Del Monte green beans or Eagle Brand Condensed Milk, you were out of luck, but nobody ever complained. Dryden’s wasn’t a self-service store. There were no shopping carts or baskets. Customers stood in front of the counters, rattling off their shopping lists to dad; to his children, who worked after school and on Saturdays; or to one of the middle-aged lady clerks who wore flowery aprons. As each item was located, it was placed on the counter until everything on the customer's list had been found. At that point purchases were placed in brown paper bags or cardboard boxes which, for ladies, dad always carried out to the car. A metal stand containing rolls of white and brown kraft wrapping paper separated two of the counters. Tucked behind the rocket-shaped gum ball machine at the end of the counters was a candler. Clerks held eggs against its light to determine if a fetus was inside, in which case the egg was thrown away. The far left aisle was accessible only to employees because it contained the cash register and sensitive financial information, including a cabinet full of invoice booklets on which charges were recorded. My father never hesitated to extend credit to those who needed it. He knew that, for some of his customers, it was the difference between feeding their families and not feeding them. Dad happily took phone orders and, regardless of whether the order was for $1 or $50, faithfully delivered them in his trusty 1954 red Chrysler our family affectionally called "Old Red." When the delivery included a case of soda, he placed it on Old Red's right front fender. Many who called in their orders were elderly and unable to get out of their homes. My father was, for some, the only human they saw all week and they kept talking, long after they had paid for their groceries. Dad always made time for them though I could tell, when he took me along, that he was antsy to get back to the store. I remember one octogenarian showed us a tumor that had been removed from her stomach which, for some reason, the doctor had allowed her to bring home in a jar. The dry goods section of Dryden's Store was on the right side of the building. It consisted of two aisles containing shelves of paper goods, grooming products, hosiery, toys, school supplies, bolts of fabric, jeans, and other items of clothing. Coats and jackets were kept in an upright wooden closet. A short counter held a circular tin container of thread; dress patterns; and wooden boxes of rick-rack, buttons, elastic, eye hooks and other sewing accessories dad referred to as “notions.” In the spring and summer, there was a spinning rack of Burpee seeds for gardeners. Among the best-selling items in the dry goods department were the hand leathers, special gloves made from goat skin. Men who worked in the refractories in nearby Mexico and Fulton needed them to keep their hands safe from the hot-from-the-kiln bricks they had to handle. Tampax, Kotex and Modess boxes were wrapped in plain brown paper, the price was noted in the upper right corner, and placed on a shelf where customers could reach them without having to embarrass themselves by asking for them by name. All the women in town knew what they were and could tell which product they were buying by the shape of its box. The dry goods counter had an old-fashioned crank-style cash register that emitted a "ka-ching" when the drawer was opened but, because most folks who shopped that side of the store also purchased groceries, dry goods were usually rung up on the left side. The store’s back wall contained paints, floor waxes, furniture polish, varnishes, enameled pots and pans, plates, saucers, bowls, cups, pyrex dishes, and other household items. A Facebook friend wrote recently that, when she married in the late 1950s, she and her husband purchased everything they needed to set up housekeeping from Dryden’s Store, and that she still has most of it today. The busiest day of the week, by far, was Saturday, when farmers and their families came to town to shop for the provisions they needed for the coming week. The brick plants closed at noon on Saturdays, the same time as the bank, leaving workers with paychecks they were unable to cash. They didn’t have to wait. Dad kept in his back pocket a fat leather wallet stuffed with hundreds of dollars in tens and twenties. Everyone in town knew Mr. Dryden was happy to cash their paychecks. And Mr. Dryden, a good merchant, knew that most all those men would be spending much of their paychecks on groceries and dry goods. At Dryden’s Store, you didn’t need a plastic bar-coded loyalty card to identify yourself. When you walked through the door, everyone already knew everything they needed to know about you. Whether you had gone to church on Sunday. How your crops were doing. The state of your family’s health. Whether you were a little pressed for money. If you needed an encouraging word. Customers and clerks (not dad but all the others including me) exchanged gossip and talked about the news of the day. Some customers, particularly the elderly ones, spent hours in the store meeting, greeting and conversing with every shopper who came in. Everyone knew everyone else and for many, Dryden’s was the center of their universe. My father was diagnosed with cancer in December, 1964, and, for much of 1965, was in and out of hospitals, unable to work in his store. My mother, who knew what was about to happen but didn’t tell anyone, ran the store for most of that year. Two weeks before his death, dad came to an arrangement with a local couple who had told him years before that if he ever wanted to sell his store, they would be interested in buying it. The deal was sealed in our living room, on a Sunday afternoon. That night, I rode with dad in Old Red to the store for his final visit. Mom had mentioned as we left that we needed milk. Dad picked up a carton of Sky-Go Farms, reached into his pocket, and dropped a quarter in the cash register. “It’s their store now,” he said quietly. That is my most vivid memory of him. Every time I go to a superstore, I like to imagine my father is with me and that I’m showing him around. He would be amazed to learn that stores sell ready-made meals, that customers are checked out within seconds by clerks who sometimes don’t even acknowledge their presence, that paper money rarely changes hands, and that stores are open Sundays and sometimes 24/365. He would marvel at the choice of brands (seven brands of green beans at my local Target! ), at the prices (red and white potatoes cost two and three cents per pound at Dryden’s Store, they’re 99 cents and $1.09 at Publix today), at the sophisticated merchandising techniques, and at the sheer quantity of products, most of which didn’t exist in his day, that today’s consumers apparently can’t live without. I wouldn’t have to explain to him that stores like his are gone forever. He was smart. He would pick up on that instantly and understand why. 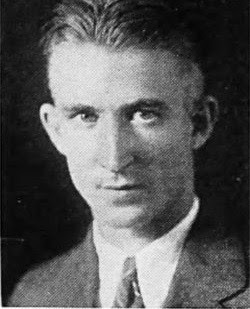 Having left college in 1929, fifteen hours short of the credits needed for his degree, he landed a job as a management trainee for a chain of variety stores and was sent to a store in Arkansas where he learned to become a first-class merchant. He threw himself into the job, kept notebooks detailing the lessons he had learned (I have them) and was making big plans to grow with the company. The Great Depression ended those plans. The store he was working in closed its doors. Try as he might, he couldn't find another job. There weren't any. I am convinced that, more than anything, the time he spent in that Arkansas variety store shaped my father's career and character. When, three years later, he opened his own store, he put 110 percent of himself into making it the best it could possibly be so nobody could take it away from him. It was his pride, his joy, his passion. My imaginary shopping trips with dad are my way of staying connected with him. I like to think he would be pleased to know the influence he and his store had on my life and to know I learned from observing him many of the lessons that have defined me not only as a businessperson but as a man. Most of all, I'd like him to know that, every single time I set foot in one of those mega-stores, I miss him like crazy. Below are some photos my cousin Tom Tate sent after reading this post. Years ago he and his wife were visiting Auxvasse and went by the store building. lt's no longer being used as a store -- I don't know what if, anything, it is being used for these days -- but Tom was able to get inside and shoot these photos. My parents never owned a camera so we have no photos of the store when it was operational, but these shots show some of the incredible details of the building -- the freight elevator, the tin ceiling and the railing across the front of the mezzanine where dad kept his desk (the mezzanine has apparently been sealed up), the tile on the front porch and the entrance. Note the decorative glass that runs the full width of the storefront. I'd guess it's worth more than the building itself. 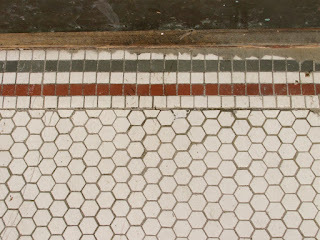 The building was built in (if I remember correctly) 1911. Labels: Auxvasse, Dryden's Store, G.L. Bud Dryden, Jr.